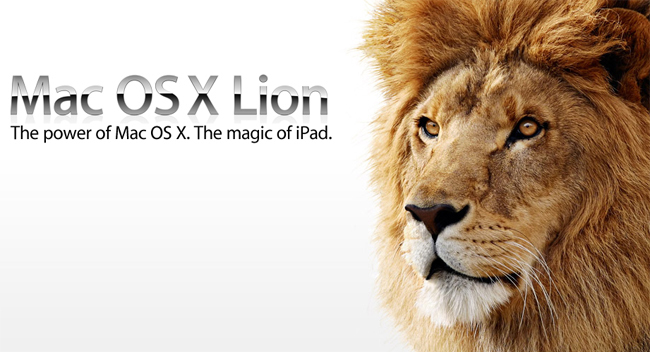 So, everyone knows about the notoriously known computer operating system designed, and ever progressing improvements being pushed by industry leader Apple Inc. Apple's latest rendition of the operating system, OSX Lion is still considered relatively new. Being a graphic designer, I was a bit hesitant to upgrade to Lion because of known compatibility issues with Adobe Creative Suites and other various applications that were not updated before the release of lion. This week would be the week that I would give in and update the trusty old laptop. Starting the install process. I downloaded the Operating System through the App Store, taking some time to download, I went out for lunch and by the time I came home it had finished downloading. I went ahead with the install and came across an error! Oh no! It was something along the lines of a "no-recovery disk" issue. I immediately went to Google to find out what the problem was. An answer didn't come so easy as it was a bit unclear in my findings, but I did come to the conclusion that I should plug in my Time Machine hard drive and with the computer recently backed up I would give it another try with the "recovery disk" attached. I had instant success. The update went very smoothly. After the install, the new OSX walked me through the setup of the all new iCloud which synced rather quickly. That was it, only taking about an hour and I was ready to experience and explore the Lion! Full screen apps are amazing except when using duel monitors with multiple apps running it is not compatible with two apps at one time, it still works it just doesn't utilize the other monitor. The new track pad features are extremely intuitive to someone who is used to the iPhone and iPad. One of the biggest changes to the track pad is the scrolling feature in all apps, it's inverted! Takes some getting used to and if you don't like it I'm sure there is a way to change it back. One feature of the iCloud that I was looking forward to using was the Photo Stream. Unfortunately it only works with the newest version of the iPhoto application which cost somewhere around $20 - $30 for the upgrade. For that much I'd rather not, mostly because I use Adobe Lightroom for my photo organization and touch up editing, I wish it would work with lightroom, but I'm guessing it will never happen since it's not an apple product. Overall I've noticed that my computer is running slightly smoother, quicker when opening apps, and just seems more intuitive. At just $30 for the upgrade I feel it was definitely worth every penny!